As more and more parts of your lifestyle become computerized and managed from a smart phone, it’s easy to see that home management is no different. We all know that buying a programmable thermostat will help you save on your heating bills. If you want to take the next step in efficiency, a fully integrated computerized home management system is the only way to go. What Are Building Management Systems? A building management system is a computerized software program that allows you to integrate the management of different types of home equipment. 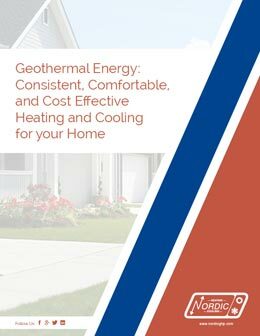 This could include your geothermal system, hot water heater, solar panels, washer and drier, and electric vehicle charging system. Each appliance or piece of equipment is connected to the Internet with its own IP address, and the building management software dictates when each piece of equipment operates, for maximum efficiency. For example, if your province offers off-peak electricity rates, your building management system could program your washer, drier and electric vehicle charging station to only run during the off-peak hours, thus saving you money on electricity. Another example is having occupancy sensors in each room. The building management system will sense when rooms are empty, and knows not to condition a room without people in it. This is the next step up from a programmable thermostat, and is fully automatic. A building management system usually has an online interface that you can check remotely, either from a computer or smart phone. This online interface allows you to monitor the energy usage while you’re away from home, to change the temperature, or check for appliance malfunctions. How Do Building Management Systems Work With Heat Pump Installations? Our next generation of geothermal heat pumps will be able to fully integrate into a building management system. Our machines will come equipped with intelligent micro controllers that are wifi capable and can be integrated with a building management system, to provide more functionality than a standard programmable thermostat.